Choose Pluss software for the same reasons leading heavy-duty truck parts and repair shops nationwide do: it’s hassle-free, fully scalable, and easy to customize for your company’s unique demands. Invest in solutions, not headaches. Our software handles the hard stuff — invoicing, inventory management, time tracking, ordering, and more — so your technicians can stay focused on delivering quality service. Don't make the mistake of getting boxed in by low cost, dead end software. With Pluss's heavy-duty software solutions, you will enjoy a world-class on-boarding process, lifetime support, and easy scalability. Success Assured. Hassle-free software to help you master your truck parts or repair business, from start-up to enterprise level. 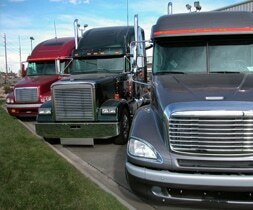 Diesel truck businesses of all sizes use our heavy-duty parts and repair shop software to manage day-to-day operations. Whether you’re running a mom ’n pop repair shop, or a mission-critical parts supply company, Pluss’s fully flexible software gives you the simplest way to manage complex operations. Learn more about how Pluss software can benefit your bottom line. At Pluss, we have specifically designed our solutions for evolving companies of all sizes. 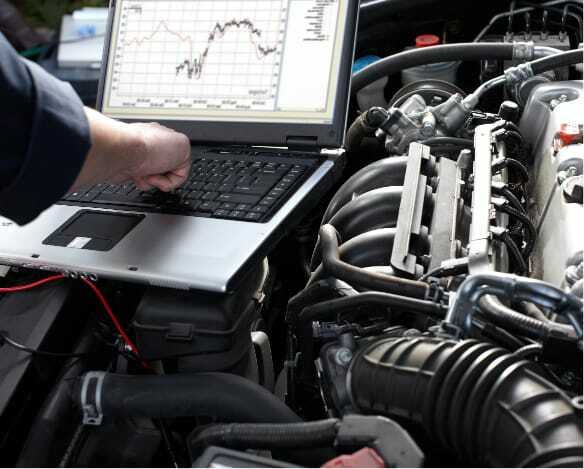 Our software has many specialized features that are ideal for Heavy-Duty Diesel Truck Repair Shops like yours. We've been using PTM since 1996. It would not be possible to make it through the day without it. Ease of navigation, charts and available reports save us time and make us money. Customer support is excellent and timely. Any problems we have are taken care of almost immediately. Great job Pluss!! John D, Owner, Auto Machine, Inc.
PTM-Vision is the ultimate time-saver. We can manage and control expenses, employee productivity, and inventory. In addition to that the reporting features are priceless! The exceptional support and training team at Pluss has also allowed our team to effectively run our system which is critical to our success. Investing in the features and functionality of this software has saved our company time and money. I started with Pluss Corporation in 1996, back then their company was called PTM. At that time my company was called Champion Automotive Machine. There have been many changes throughout the years and both of our companies have grown together. If I could say one thing, this is a company that truly cares about the customer. There has always been excellent service and always a quick response time to my questions or suggestions. Many of the personnel I would consider to be my friend and it’s been a pleasure to be associated with them. Bayside Trucks Inc. has been a long-time customer of Pluss Corporation and the relationship we have built has been second to none. Pluss Corporation has gone above and beyond our expectations in making their program tailored to our business needs. Their hardware and software support are always available with professional and knowledgeable staff to assist us. Pluss Corporation keeps evolving and stays up to date on the latest trends that make our business even better. Dayna T, Bayside Truck Inc.
We have been a customer of Pluss Corporation for several years. We primarily use their Vision Software and have found their customer service to be top of the line. I recommend Pluss Corporation to anyone who is looking for computer software for their business. I have been working with the Vision Software since late December 2014 going active the 1st week in January 2015. I handle the accounting and payroll but have learned the parts, service (a little), and truck sales end. I have found the software is easy to learn and I have only good things to say about the customer service people. Each person is friendly and if they don't have an answer, they get you to the right person as soon as at all possible, usually on one call. I have worked with 3 different software programs and have found this the easiest to adjust to. Our company has been looking for software to fit our heavy-duty truck shop for years. We have been through system changes in the last several years. Each software program seemed to lack key functions to our business. Then someone referred us to Pluss! Not only did the software have everything we had been looking for, it had features we had never even considered. And the technical support is beyond compare! They seem to recruit people that have experience in all the key areas -- Accounting, Service, Parts, etc. So, when you need help, they understand what you are asking for and why. No more trying to explain to a kid right out of a computer tech school why you need a certain type of report. Simply put, we could not be happier with our choice to go to Pluss Corporation. PTM-Vision is a great program! Before I signed up for Vision, I was spending over 20 hours at my desk each week and I was just looking to get more time out of the office to work more in the shop or time to spend with family or take a vacation. Vision has been great and done just that and more! Recently I was able to take a full week off and when I got back it only took me 4 hours to catch up. After careful research of several Parts and Service software companies we converted from QuickBooks to Pluss back in 2014 and we have been very pleased with the Pluss team. The power of the Pluss Software and features make it very user friendly at all levels. The program support is the most valuable tool in your product with quick and responsive support staff ready to help. The software has the ability to grow with your company at a rapid pace. Big or small this software will grow with your company. Ben Bandimere, Owner, Marini Diesel Inc.
We here at Vermont Engine Service, Inc. have been using the Pluss software for our engine machine shop for over 24 years and couldn't be happier. The support we receive is second to none, they are always willing to help when we call and if they have to schedule you for a call back appointment they are always on time when they say they will call you back. I would highly recommend Pluss to anyone in the automotive industry for their Point Of Sales and Inventory software needs. Dean Thibodeau, Owner, Vermont Engine Service Inc. In a few good words Pluss to me is truly AWESOME! I will have to admit when my Company 360 decided to go with a new computer system I was totally not interested! Having the Pluss System for the past couple of years now has actually been a really great addition to the 360 Company. The techs you meet not only explain how the system works but the whys, dos and donots of your job. Being in accounting things always change and by saying that…………Pluss will explain things in a way for you to understand how things should be done and you learn that it makes sense. In my experience in accounting I don’t always know everything and things may not seem clear as to why it should be this way or that way, and Pluss really explains those reasons. Of course, there are a lot of other departments our company uses Pluss for and within those po’s, invoicing, billing, etc the help we receive is as well Great! I want to also STRESS for those of us here at 360, these compliments are for many of the Awesome Pluss Techs!